From cheesy potatoes to stuffed French toast! 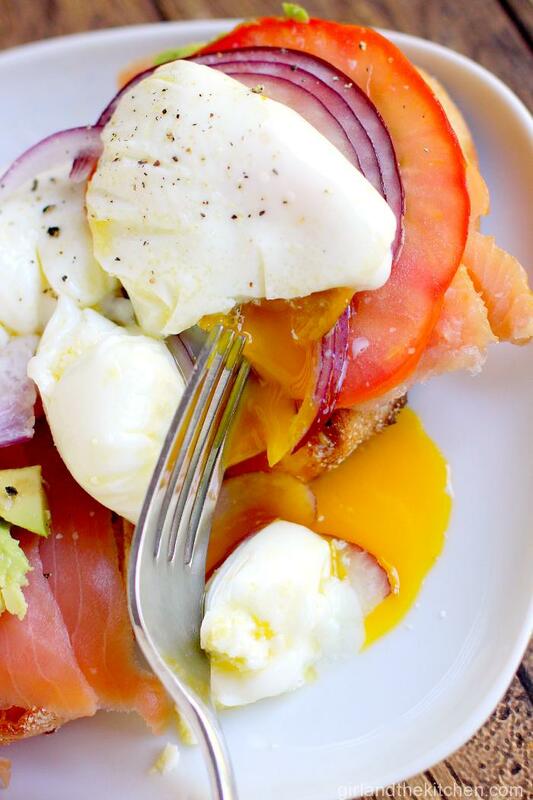 These filling breakfasts will cure all your hangover woes. I love breakfast food. 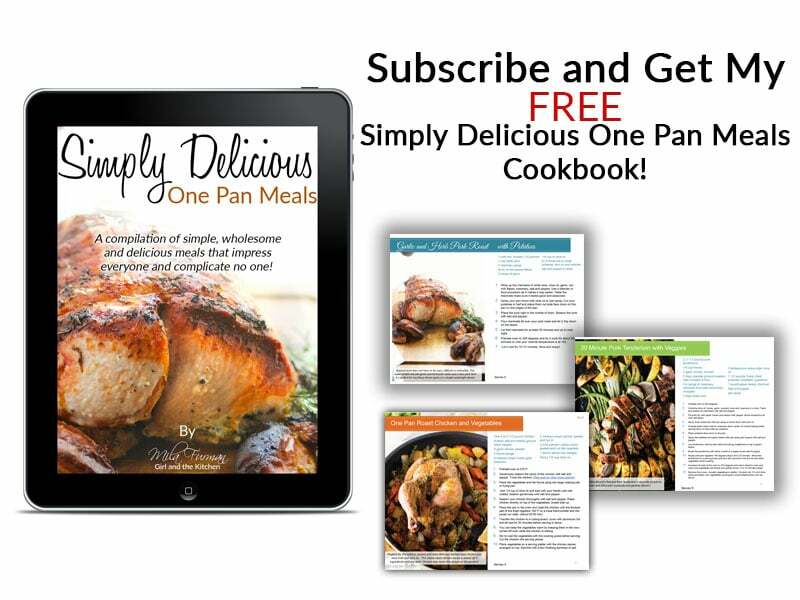 Skillets, pancakes, quick breads. egg sammies and other delicious noshes as such make me one happy girl. I particularly reach for these on a morning following a particularly ahem “fun” night. We have all been there…that awful feeling when you wake up with the taste of fermented tequila on your tongue and a thousand elves playing drums in your head. Hangovers. We have all had them, we all know them, we all hate them. But it is pretty sweet seeing this ray of sunshine first thing in the am. Since the hubs rises later than I do on these days, munchkin and I always snack on something and then settle on the couch where the obnoxious Mickey keeps her entertained and mommy gets to nurse her swollen head (or so it feels) with a few Ibuprofen and some coffee. All while catching up on blog posts and most importantly Facebook posts. Yes, I am a Facebook whore. I love Facebook. It keeps me entertained. I am not ashamed. Once the hubs awakes in his groggy and grumpy manner (he is not a morning person either) we both decide that neither one of us is in the mood or in the form to make breakfast. And we decide on my all time favorite outing: we go out for breakfast! I am not sure why I am so obsessed with this. I have been for as long as I can remember. 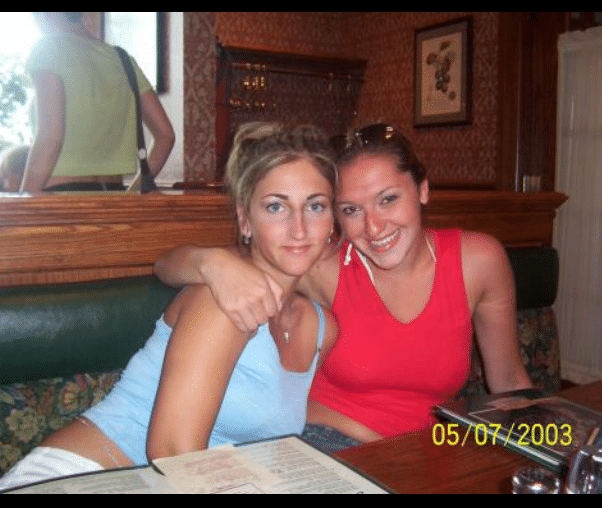 When I was in high school, the instant that one of us got a car, we always went out for breakfast or brunch over the weekends. It was a wonderful thing, we would talk about our fiascos from the night before and any debauchery that may have went on, we flirted with the 20 something waiters and indulged in cheesy omelettes and crunchy waffles loaded with strawberries and whipped cream. No worries other than which bikini to wear to the pool that day… That is my best friend who I still breakfast with once a month on Saturdays. When I started dating my hubs, the best feeling in the world was being to wake up with him on a Sunday and having no other plans but to have a late breakfast or brunch at that point. Sometimes he made me breakfast, sometimes we joined his parents for breakfast (this was a bit awkward in the beginning to say the least), but my favorite of all was when we put on some sweats and made our way to our favorite breakfast place Walker Brothers…for those of you from the Chicago burbs…you know how wonderful it is…and you know why we keep going. Today, it is still one of my favorite things to do, because the munchkin seems to love it as much as I do. On Saturdays, while the hubs is at work, I meet with my girlfriends or my brother and his kids, forgetting the passing hours, chatting, munching and enjoying the simple pleasure that is a perfectly well made cup of coffee with just the right amount of cream, heavy cream that is. 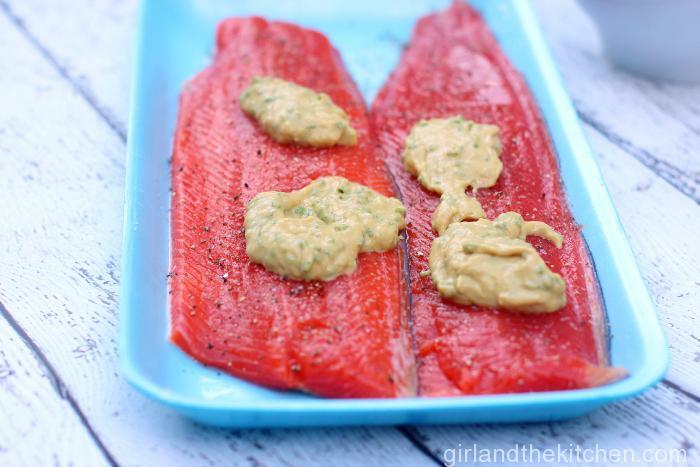 There are times that I run out of ideas and so I turn to some of my favorite bloggers who have truly outdone themselves with their epic creations. These No Washing Up Sammies from the super talented and sweet Nagi of Recipetineats is perfection. No one wants to have to wash anything on a Sunday morning and this does not require you to. YUM. Maureen from the Orgasmic Chef made these perfectly cooked soft boiled eggs with “Soldiers” as her husband calls them. Which is basically perfectly buttered and toasted toast! 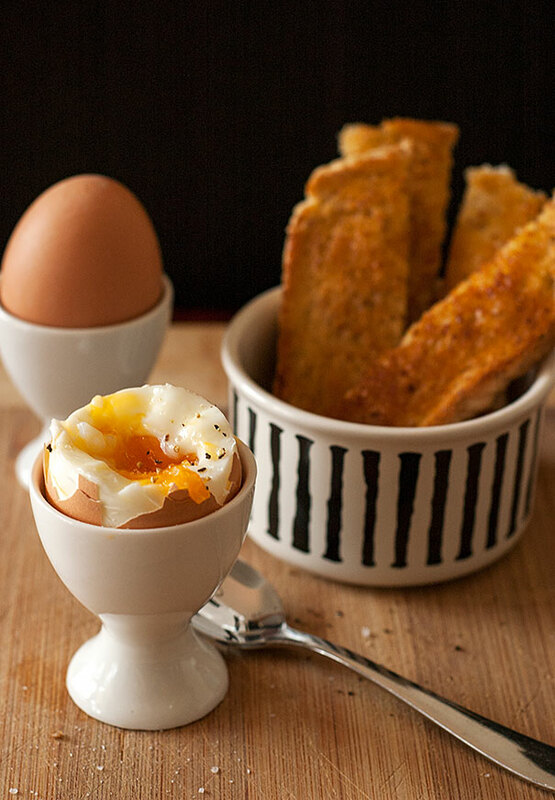 There is something simplistic and magical about dunking a crunchy toast into a brightly yellow egg yolk. Yum! Now I am not crazy about chorizo in general, however anything with the word torta in it and I am game! 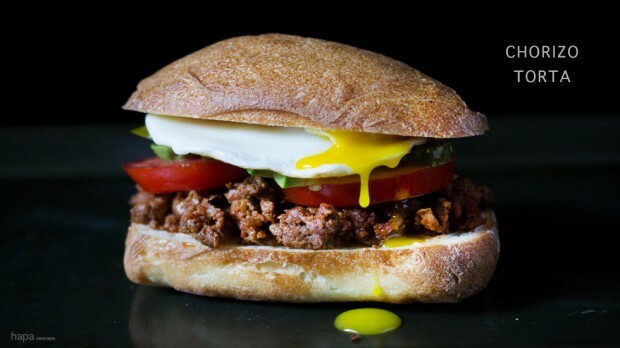 This chorizo torta from Hapanom is everything right that happens in an egg breakfast sandwich. Including the perfect egg drip. 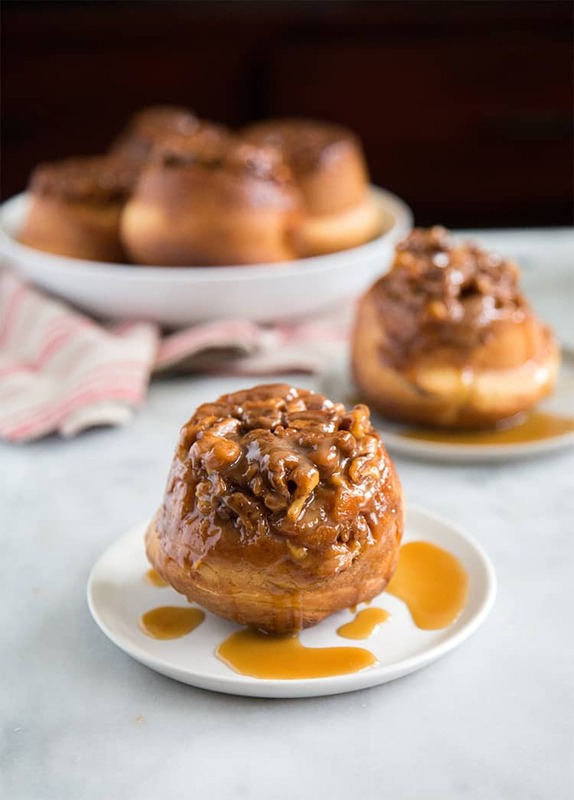 If your hangover is in dire need of some sweetness…than these Caramel Walnut Sticky Buns from The Little Epicurean will be your ammo. 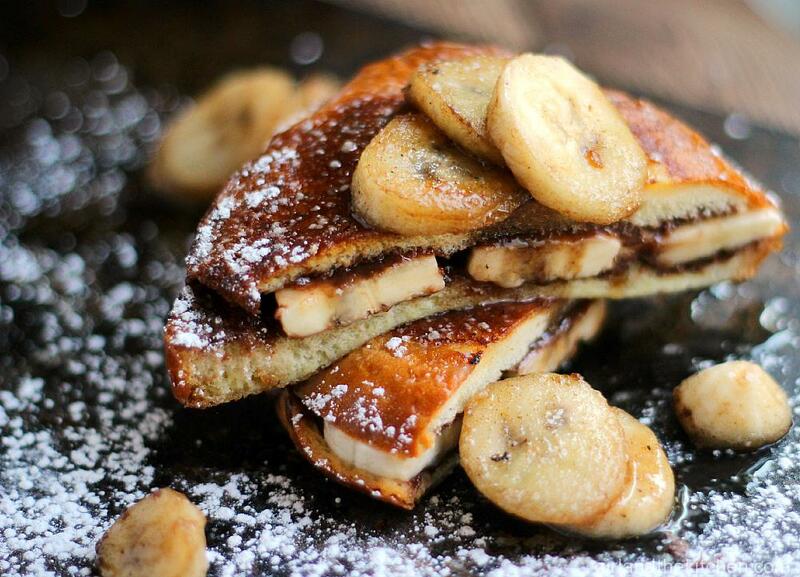 And if you still need something sweet check out my personal fave Nutella and Banana Stuffed French Toast. It’s awesome. And delicious. And full of Nutella. I am a huge lover of cinnamon buns…HUGE. And Victoria from Love Laugh Cook has gotten juuuuust right! It’s a unique twist on the classic cinnabuns because this is one huge cinnamon bun made in a skillet! 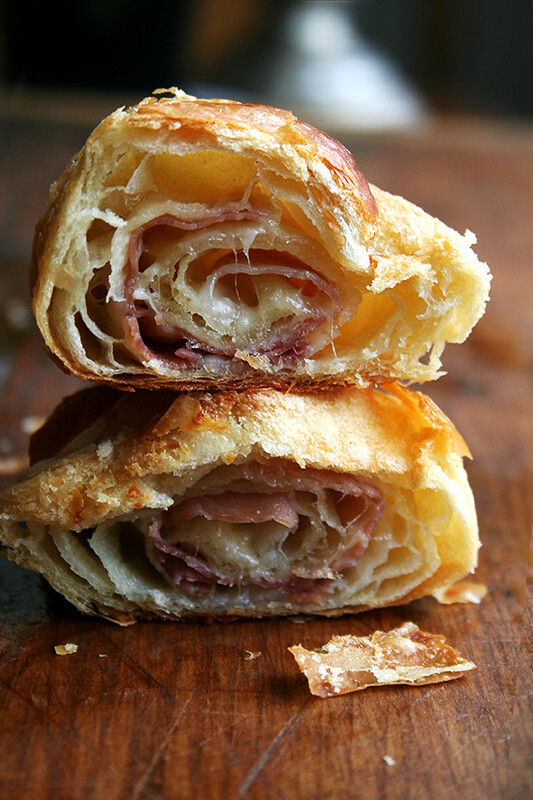 Jenny from Honey and Birch pairs arugula with bacon up in this legendary sammie. Pizza for breakfast you say? What? 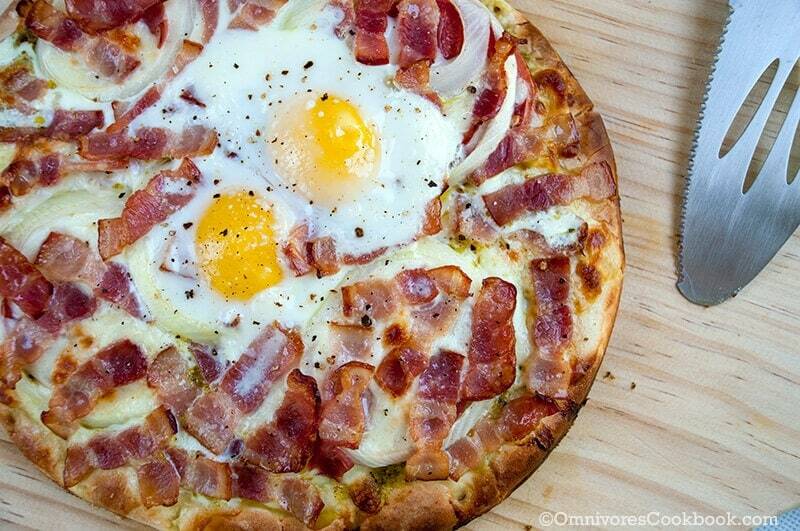 Yes…pizza for breakfast with Bacon Pesto and a Sunny Side-Up Egg sounds like perfection. Thank you Maggie. 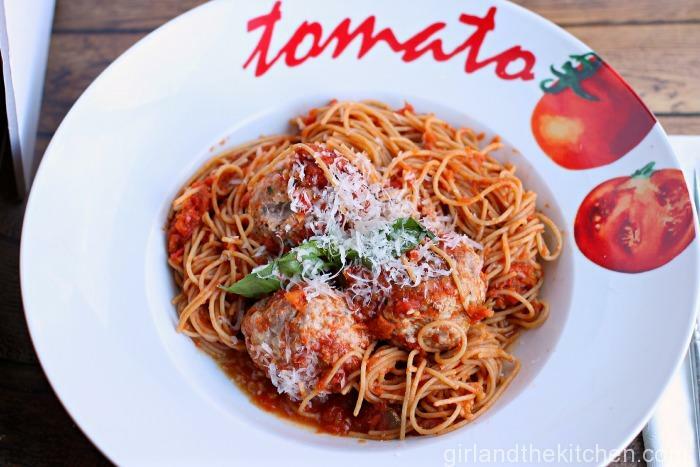 Dini from Girimauk’s Kitchen has become a rather good bloggy friend. She is super sweet and mighty creative…her recipes leave me thinking “Why didn’t I think of that?” Just look at this adorable stack that she calls Bubble and Squeak Stacks! Adorbs right? And total yums! 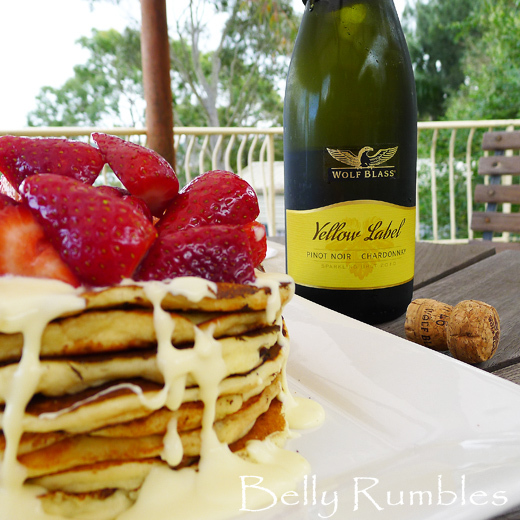 Mmmmm pancakes… not just any pancakes but Ricotta Pancakes with Sparkling Strawberries from Belly Rumbles… Sparkling Strawberries…that sounds fancy doesn’t it? 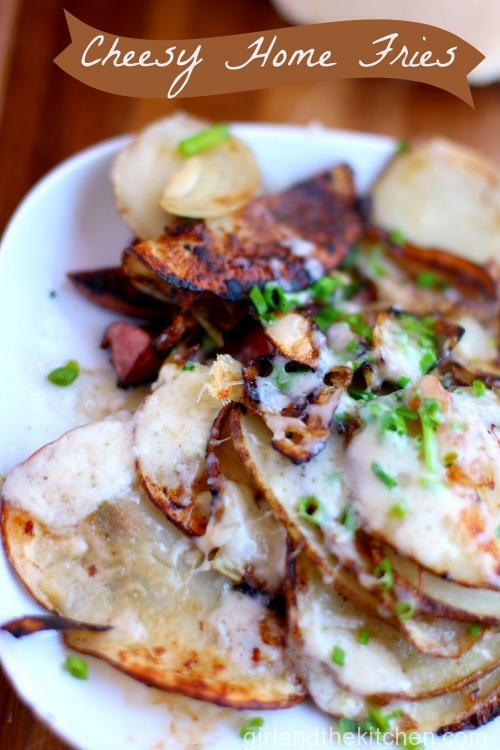 The one think that gets me tot’s excited about brunch or breakfast is potatoes… I just love them. 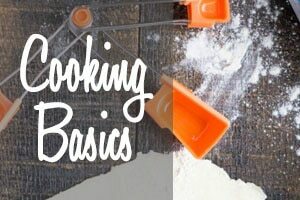 Janelle from Baking in Slippers is a pretty talented chica! And a super sweet one as well! 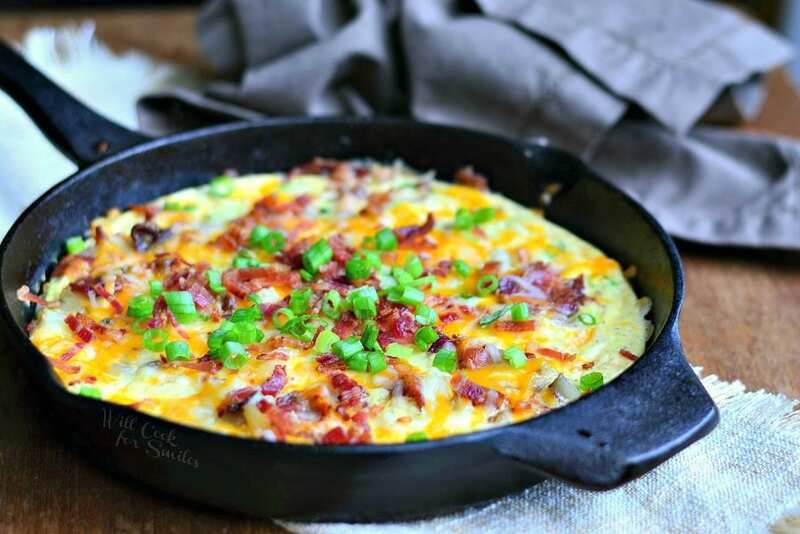 She came up with this awesome Hashbrown and Sausage Breakfast Casserole. Nom. I apparently have an obsession with all things taters. But seriously how could you not love Cheddar Chive WAFFLE Hash Browns...that’s a pretty awesome way to utilize a waffle maker! 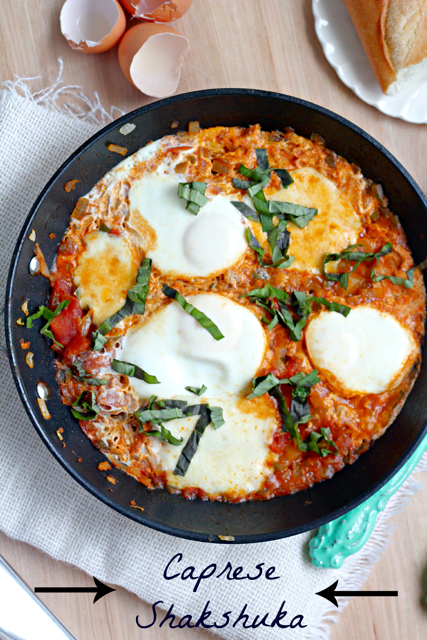 Eggs in general seem to be a pretty popular hangover cure… With darn good reason! 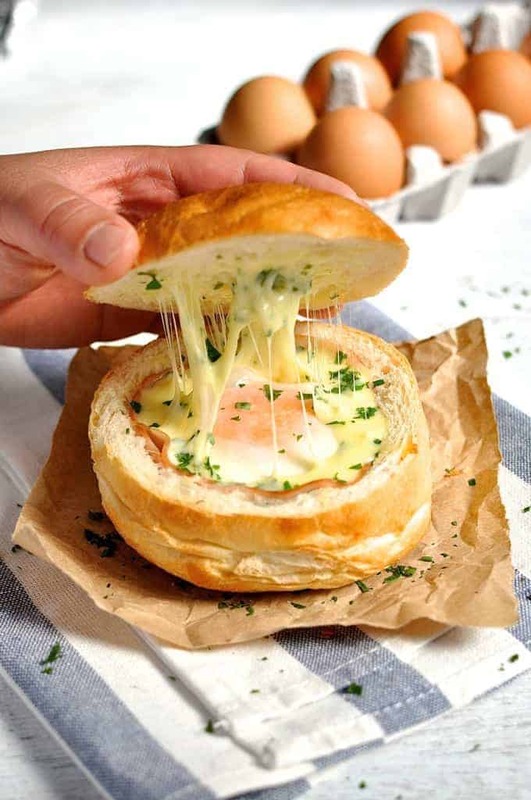 They are easy to make and pretty much always in the fridge 🙂 These Eggs en Cocotte seem just that…easy and good! You know…I think I need to plan my hangover ahead of time so that I can prep the night before and make this awesome Lemon Coconut Pull Apart Bread from the Domestic Goddess. It looks like it would make you feel all alive and bubbly doesn’t it? 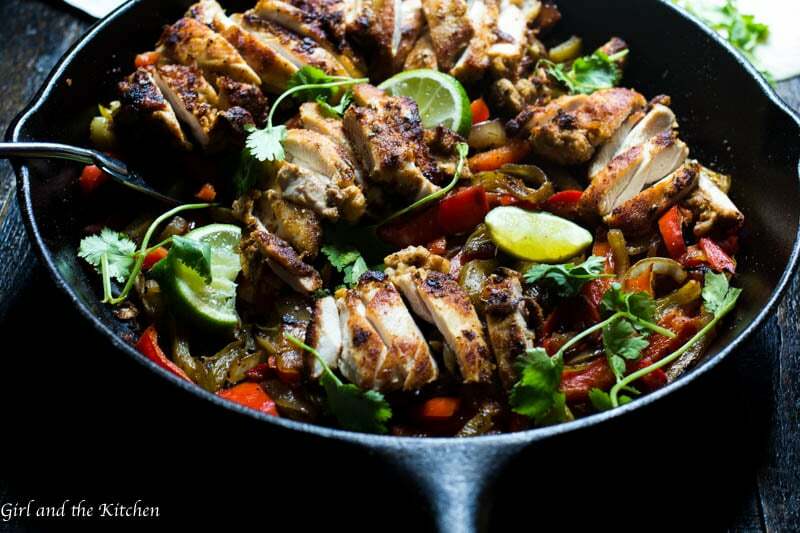 Hope I was able to help you all nurse your hangovers 🙂 Give all of these fab recipes a try or at least a like! Oh my goodness I love this post so much! There is just too much perfection on one page. 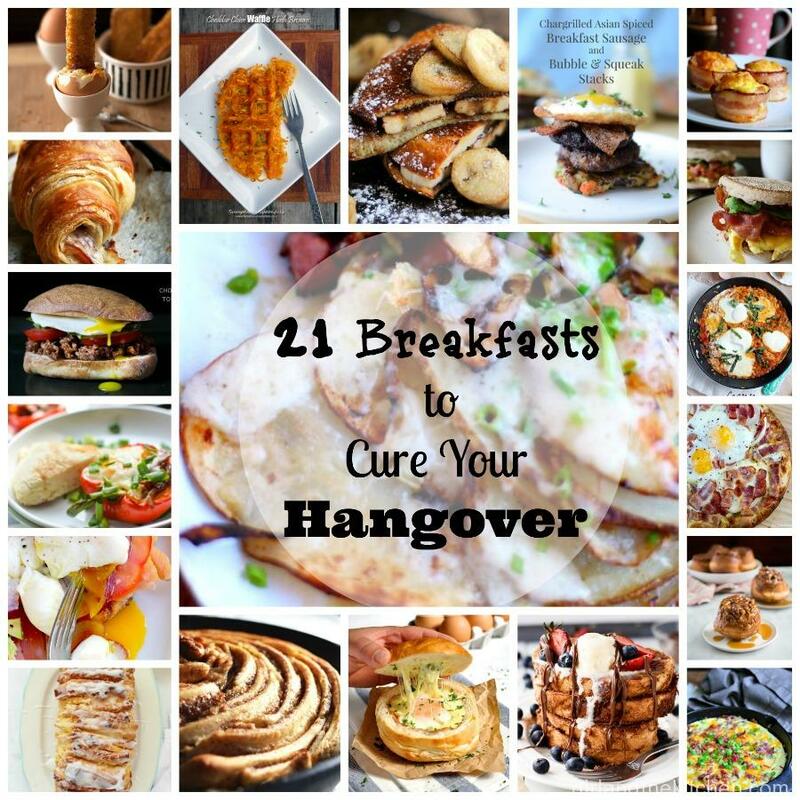 I feel so honored to be on the hangover cure page! Thank you Mila! 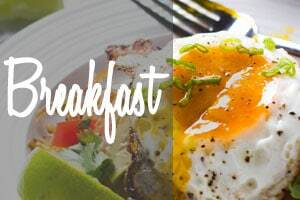 This is totally fantastic and I will definitely be stopping by to try some of these breakfast ideas. Thank you for taking the time to comment!!! You have a new follower in me! Ahhh Nagi! 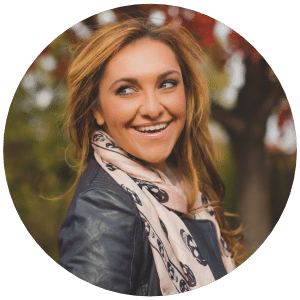 Of course you would be featured…You have some ultimate hangover cures on your site 🙂 Don’t get me started on the crack bread! So excited to be part of the round up Mila! 🙂 I’m looking down at my sad little toast and wishing I had one of these to eat instead! I’m not even sure where to begin! I think I would want… scratch that! I really can’t decide… Just a big ol plate of EVERYTHING here, and then all the dessert too! I know that’s how I felt writing this post!!!! Thank you for including me, especially in a hangover cure! I am in company with some great people! Well you have some hangover curing stuff!!! The elves playing drums in your head…any chance they’re the little children up before 7? ;p Been there. Done that. Wished I hadn’t. 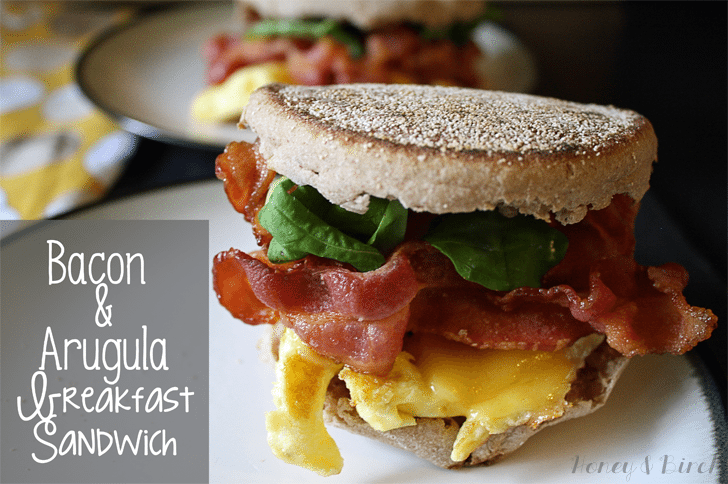 Now I wish I’d had these breakfast ideas! Thanks for including me! 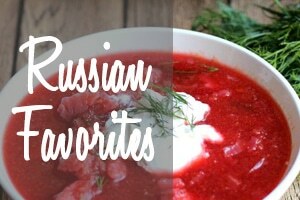 Such a delicious collection of recipes! I wouldn’t know which ones to choose! Katerina, that seems to be my problem too! They all look like great hangover cures because a good hearty breakfast really does help. Great round-up. AMEN sister!!!! Thank you for the comments! Oh yes! Just what I need. Breakfast is my most perplexing meal to make, since I’m half asleep and two toddlers are FANGRY! Lol 🙂 Yes I do love me a good breakfast! Such a great round-up, Mila! And perfectly timed since everyone is going to be drowning in green beer tomorrow. 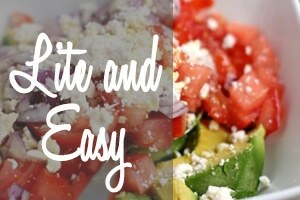 😉 I love breakfast foods and enjoy seeing what other talented bloggers are up to!